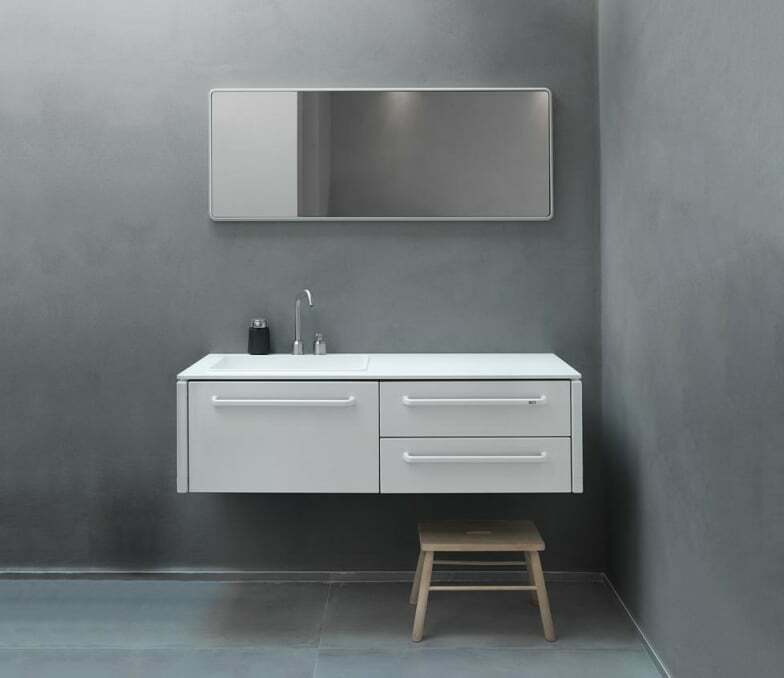 Wall-mountable bath cabinet matching the Vipp bath collection. The Vipp bath modules are made from powder-coated stainless steel and feature details such as rubber-coated handles, Corian® bathroom surfaces with integrated washbasins and solid stainless steel taps in the same style as Vipp’s other accessories by the company’s chief designer Morten Bo Jensen. The series also includes a mirror in three different sizes with a powder-coated stainless steel frame. The bathroom elements come in white. The here offered bathroom module Vipp 982 ist the medium sized of three different bathroom cabinets. Do you have a question about "Vipp 982"? How can we contact you?